Carvana's first vehicle vending machine sits along I-65 near 100 Oaks in Nashville. It holds 19 cars at a time, which are loaded ahead of a customer's arrival to pick up their order. The neighbors have fielded questions for months as the five-story steel and glass structure rose out of the ground. "We just reply that it's a car vending machine," says Anje Clay, who works at the import auto shop next door. Now that the vehicle dispenser is operational, the online auto retailer can answer for itself. Carvana officials say their brick-and-mortar retail location is more than a head-turning gimmick. Nashville got the first of this design, but the Phoenix-based company plans to put these vending machines in many of its markets, which currently stretch from Dallas to Raleigh-Durham. Atlanta has a more modest version. "It’s surprisingly practical," Carvana CEO Ernie Garcia says. Like any vending machine, this one takes coins. But it’s just for show. Drop the oversized Carvana token in the slot, and the gears start turning inside. A platform rises from the floor and stops at the correct level. The German-engineered robotics pull the car over. The SUV or sedan drops down, sliding over into a bay for pick-up by the customer. The vending machine can handle most vehicles, though extended cab pickups and extra long SUVs won't fit. Here's why this spectacle makes sense. With its by-the-interstate location and pulsating neon lights, the vending machine doubles as a Carvana billboard. But it’s more than built-in advertising for the start-up, which launched in 2012. 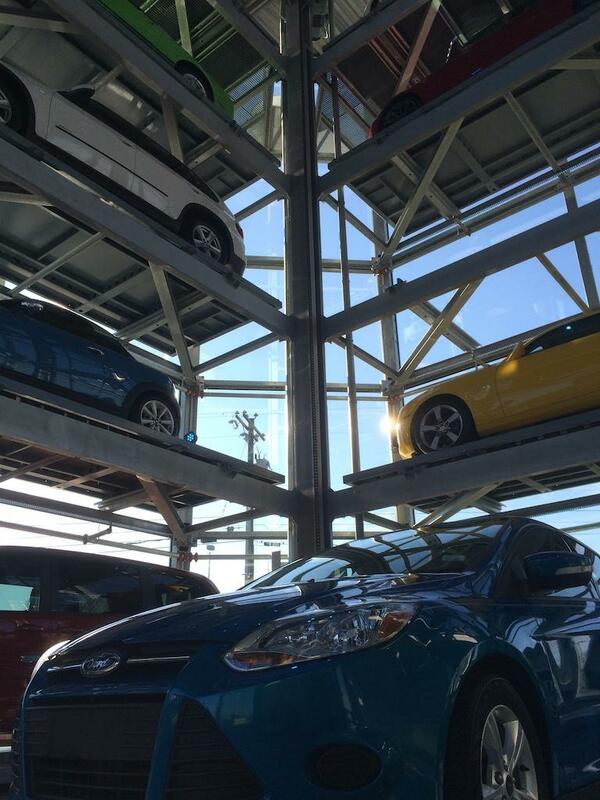 Right now, when customers pick out a car online, Carvana usually delivers it to their door. But that costs an average of $200 per vehicle, Garcia says. Garcia won’t disclose the price tag to design and build this vending machine, which is the first of its kind in the U.S. But he does say it costs less and is cheaper to run than most car lots. Bridgestone’s purchase of the struggling Pep Boys auto store chain almost certainly means job growth for Nashville, where Bridgestone Americas is based. The $835 million deal would likely result in the relocation of the Pep Boys headquarters, which is in Philadelphia. As the auto industry continues to grow in Tennessee and other southern states, Nashville is emerging as a business hub. The city is playing host to a growing number of industry gatherings. This week it’s the Southern Automotive Conference. Last week, 150 senior leaders of Nissan, Toyota, General Motors and others spent a day in a corner of the Music City Center with bankers and analysts looking at what’s on the horizon. For just the second time since GM built a plant in Spring Hill 30 years ago, the automaker is hiring locally. The company has the potential to double its current workforce of 1,800 with two new vehicles to build. Auto sales in May were mixed, and Franklin-based Nissan North America wound up on the low side. Its slip in monthly sales comes amid a period of double-digit growth. Nissan’s numbers were down only about 1 percent compared to the prior year, but that’s in stark contrast to the sales gains in some recent months.